For four decades, Tom Ellis was THE face of Boston TV news. 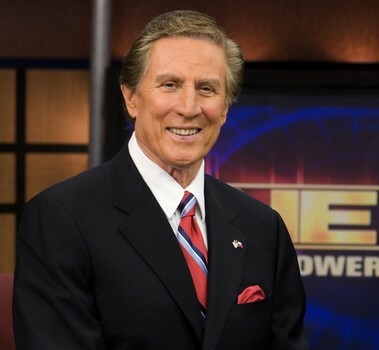 He is the only person in Massachusetts broadcast history to have anchored newscasts that were number one on each of the city’s primary network television affiliates. For four decades, Tom Ellis was THE face of Boston TV news. He is the only person in Massachusetts broadcast history to have anchored newscasts that were number one on each of the city’s primary network television affiliates. A native of Texas, Tom’s early career included radio in Fort Worth, Austin, and at KONO San Antonio where he began his TV news career in 1958. From there, he came to Boston and it wasn’t long before he made his mark. His early ratings in Boston set all-time records; six months after joining WBZ in 1968, his solo newscasts captured more than half of the television audience at both 6 p.m. and 11p.m. His tenure at WCVB also was distinguished by top-of-the-market ratings for an extended period. At: WBZ-TV he anchored solo until 1973, and then co-anchored with Tony Pepper. At WCVB-TV (1978-1982, he co-anchored with Chet Curtis and Natalie Jacobson); and at WNEV-TV (1982-1987) he co-anchored with Robin Young and later Diane Willis. Then came his longest single tenure, as anchor for New England Cable News (1994-2009), sparking a trend that would come to define the regional news channel: successfully employing the elder statesmen of Boston TV news. Tom has also managed to find time to appear in three feature films: Marathon Man (1976) as a television anchor; 29th Street (1991) as a newscaster; and True Color (1991) as an FBI agent. All told, a remarkable career.